I returned home from my home state of Connecticut a week ago, and am finally starting on this post. But I know it may not be finished for days. In fact, I may not complete it until I am on the next series of explorations. Am I too busy, or what? Actually, I talked with Betty yesterday following her visit with Scott to Grant’s Cottage (which I strongly encouraged). I complimented her on her wonderful writing and woven past two travel posts. “But, Ray,” she said, “they took me 5 to 6 hours each.” “I know,” I replied, “to do it right…” Make sure you visit Airstream Touring with Scott and Betty. I grew up in Connecticut and left for college, so that is 18 years. Cathy and I married, and returned in 1995 until the fortunate move to Walpole in 2002 – thus 7 more years for a total of 25 — more than 1/3 of my life. But, hard to believe, I have not done it all in Connecticut. So, I formulated a plan, booked a fantastic B&B, and off I went Wednesday, August 10th. This will be a picture show to encourage your travels – the history comes with the visit. Windsor. Fascinated with trolleys in about 7th grade, I got my parents to take me to the Branford Trolley Museum, and in September 2012, I experienced the Seashore Trolley Museum in Kennebunkport, Maine. 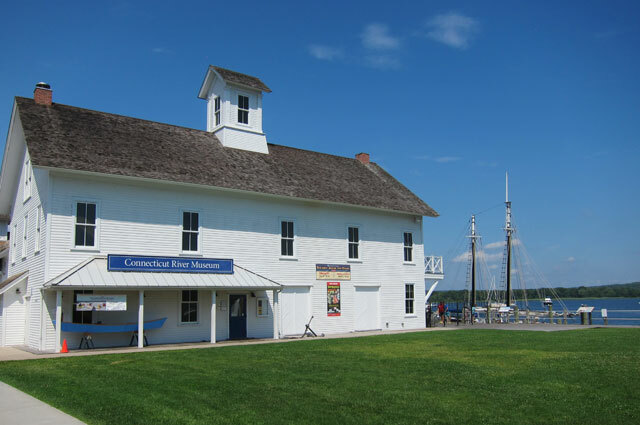 My afternoon in Kennebunkport was amazing, the Connecticut Trolley Museum was a disappointment, as I reported on TripAdvisor – but at least I can say I was there. I sat in the car in the rain before I finally decided to go inside – I thought most everything would be outside. I was wrong. In fact, there was very little to see inside, and little outside. 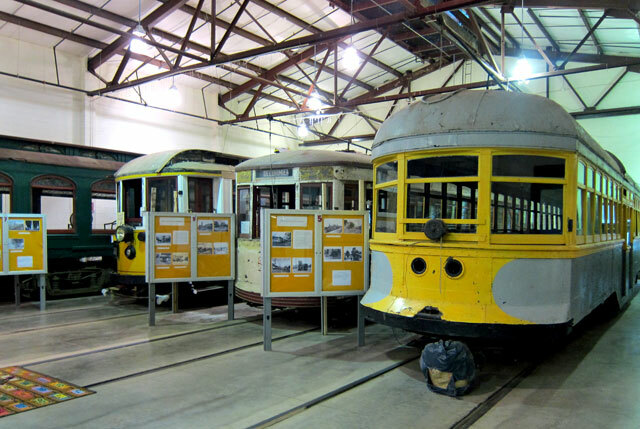 About half the trolleys on exhibit. 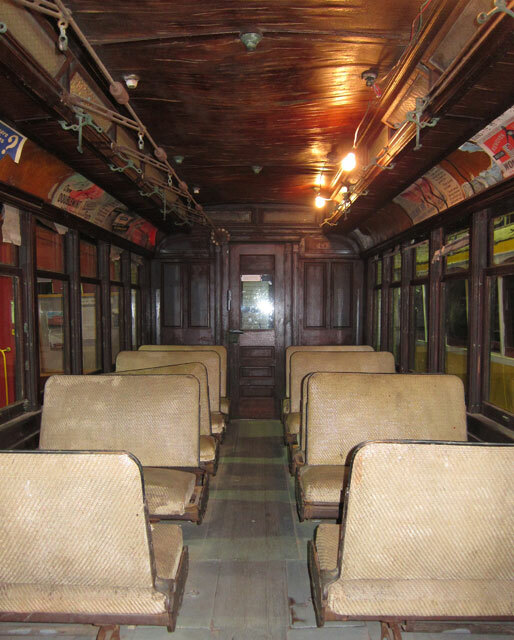 The absolute best thing was the documentary film on the history of trolley transportation in the US. Probably done in the early 70s I was captivated. I also enjoyed seeing this car from the Springfield Vermont Railway I need to learn more because the placard stated it crossed the Connecticut River on what is the current old toll bridge to meet the train on the NH side of the river. 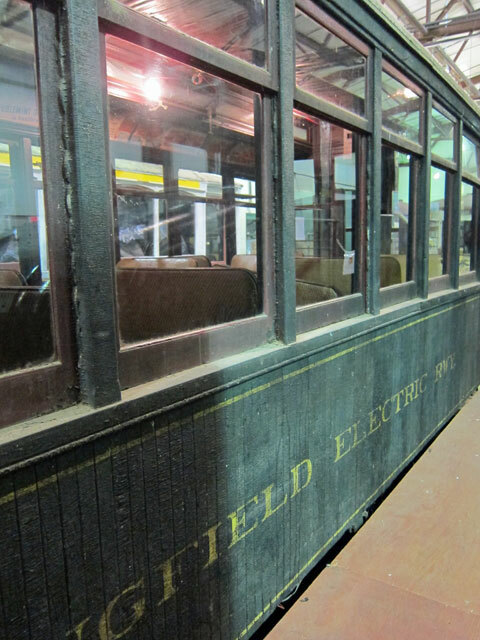 Passenger area of the Springfield Electric Railway car. Note that the cars are original – I like original. The rain had stopped, so I headed outside for a ride. 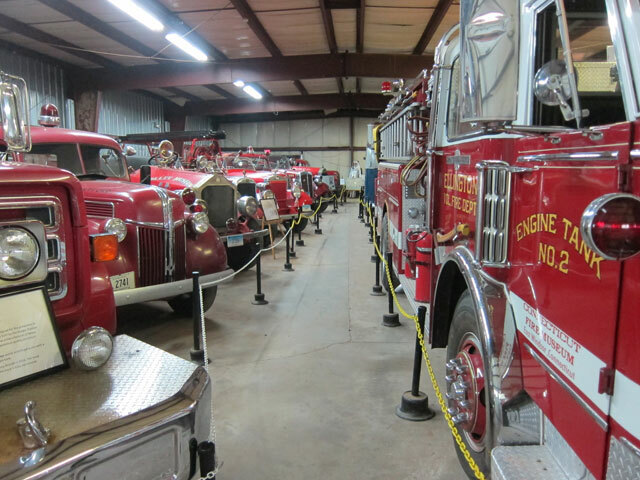 On site also is the Connecticut Fire Museum — essentially a Butler Building full of retired equipment. 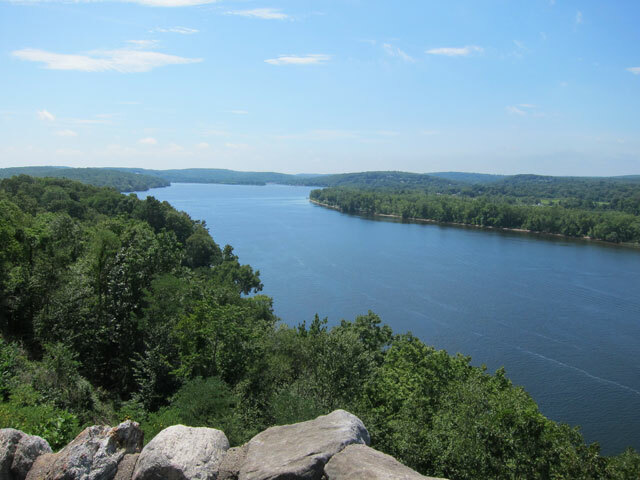 I then crossed the Connecticut River to backroad to my next destination. I always assumed Windsor Locks was so named for canal locks. You know my affinity for canals, and low and behold there was the canal along the west side of the river. I later learned that this is the Enfield Canal (1829) that enabled river traffic above the Enfield Falls. 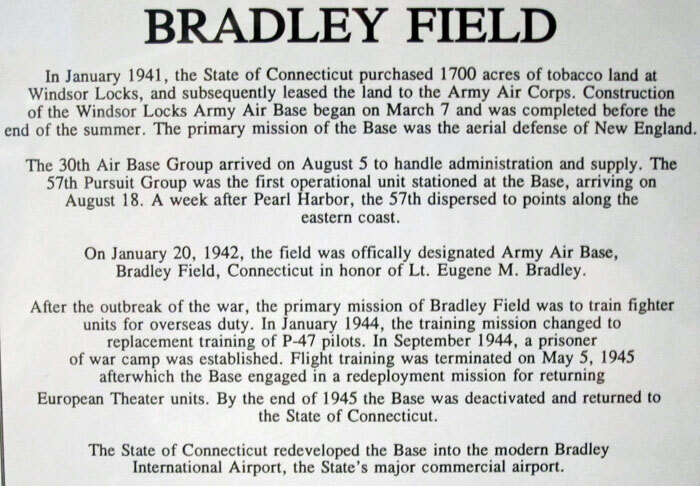 Did you even wonder why Bradley International Airport is named Bradley? You should have. Here is the reason why. Lt. Bradley in the early days of the field died in the first crash there. The above plaque is just inside the New England Air Museum — which RAY HIGHLY RECOMMENDS. 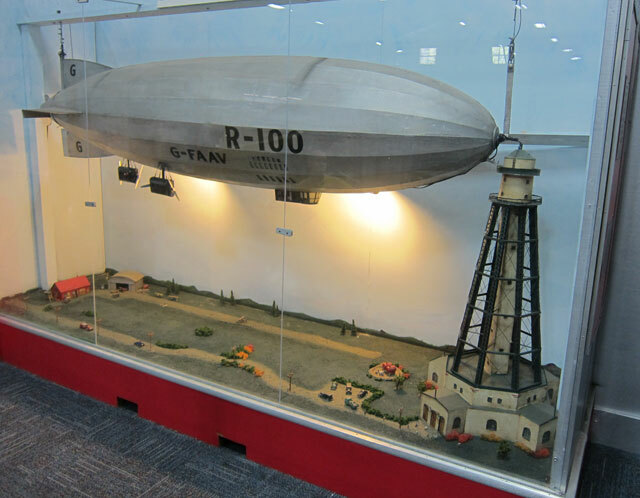 I wore myself out in a couple hours, and would like to return – easy to do since the museum is on the north side of the airport. There are three hangers with displays, and then some aircraft outside on display. In its early days of construction, most aircraft were outside awaiting restoration. A freak hurricane came up in 1979 destroying much of the aircraft awaiting housing in the museum to be built, and opened in 1981. But, what is there is amazing. You first enter the military hanger. 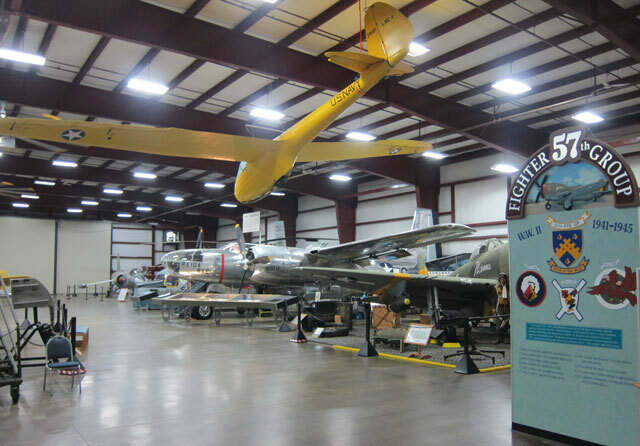 Military Hanger – NE Air Museum. 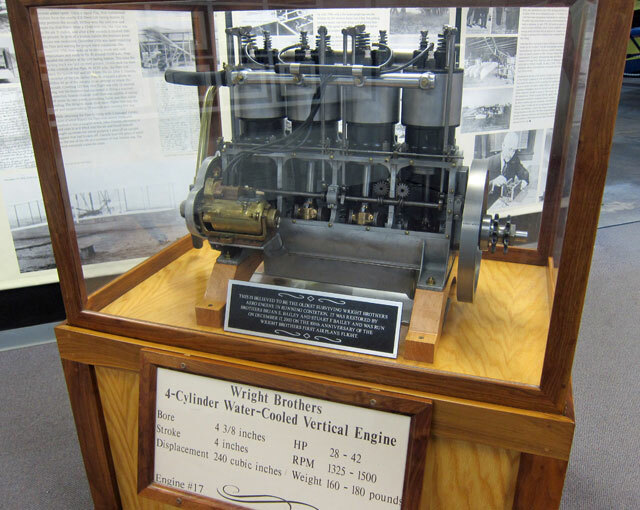 I knew a former short-time Walpole resident, Stu Bailey, was instrumental with the museum, but here on display is the oldest Wright Aircraft engine that he and his brother restored and donated. In my Did You Know That… article on page 18 of the April 2016 issue of THE WALPOLE CLARION, I discussed this balloonist. There prominently displayed was Silas M. Brooks’ Balloon Basket, circa 1870. 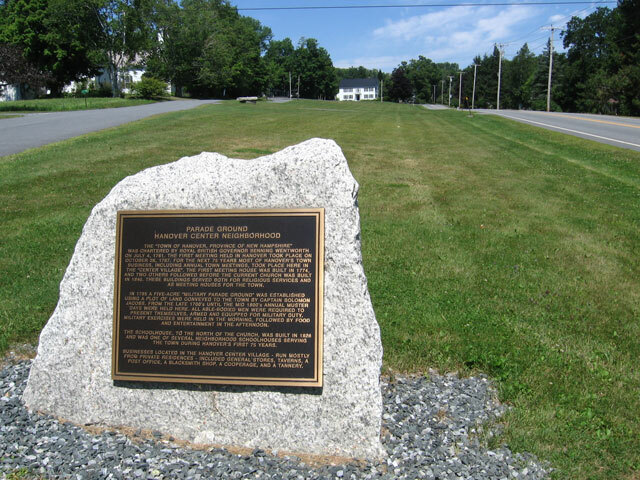 A pioneer balloonist from Plymouth, Connecticut, he lived from 1824-1906, and flew all over the area. 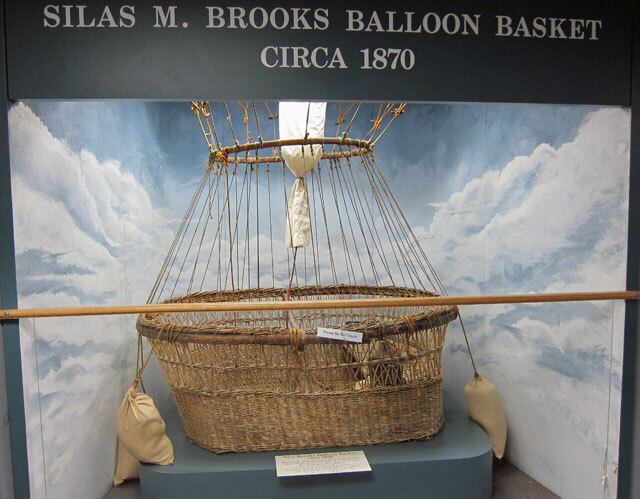 The card on the display reads in part “…It is the oldest surviving balloon basket, and the oldest surviving aircraft in the United States.” I encourage you to read my April article, could this be the same basket that hovered over the Walpole Town House on October 8, 1871, snatching and escaping with Walpole’s Revere Bell? We will probably never know for sure. I am including this discovery in the September issue of the CLARION. 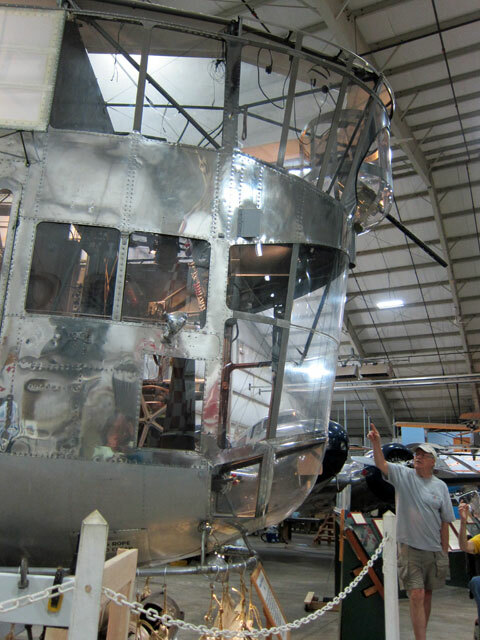 In the “history” hanger is this gondola from a Blimp that patrolled the coast during WWII. I was waiting for the man to get out of the way, and then I realized — what a great way to give you an idea of the size. I will remember that. And, this was a great model. 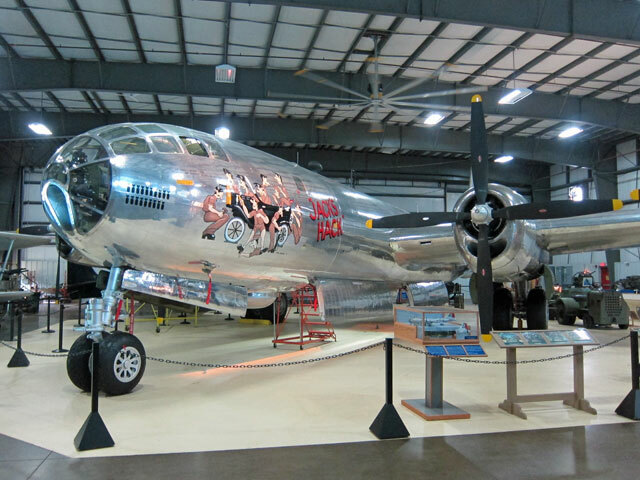 The B-29 Superfortress Bomber was the most sophisticated, complicated and expensive weapon produced by the US during WWII, and successfully rushed into production. 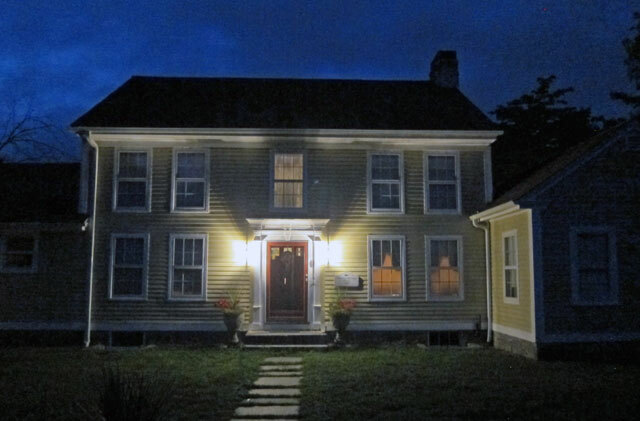 And, then I headed to my B&B the Nehemiah Brainer House in Haddam, Connecticut, probably one of the best I have stayed at, if not the best. Exquisite appointments, antiques, comfort, and wonderful hosts. Here is a view when I got back from dinner my first night. And, you know I like to share my room and meals. You can click on any image to open to large ones. And, my comfortable spot in the evenings. Any further questions why “I do” B&Bs? Before dinner that first night, I headed to Camp Hazen in Chester where I attended the YMCA camp in 1958 and 1959 (don’t do the math). The fantastic camp will celebrate 100 years in 2020. As I pulled in the director’s husband followed me in and we had a wonderful nostalgic chat. I stopped years ago with Cathy when we spent a night in Essex, and I will visit again. Camp Hazen from the entrance. Camp Hazen swimming area from across Cedar Lake. And, dinner was wonderful at the Brushmill in Chester. I would love to go again with company. 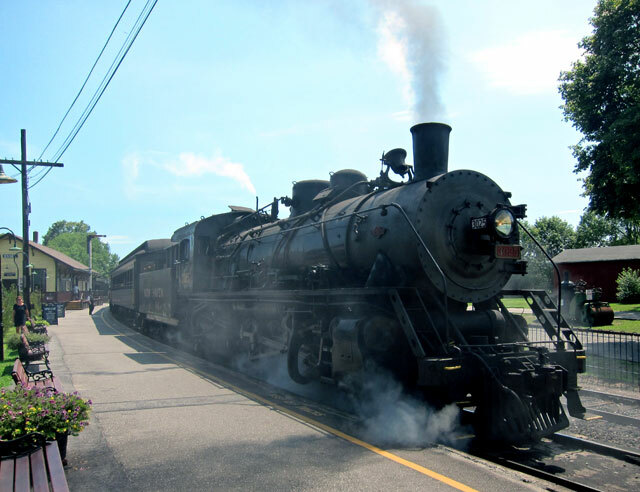 I awoke on Thursday wondering if my day was going to be a “wash-out.” My plan was to start the day on the Essex Steam Train and Riverboat excursion. For over a week ahead I debated which trip I should book ahead (planning on the last), but never did. In true Ray fashion, I arrived and took the first train out at 10AM instead of the last train of the day (sounds like a song title). The rain stopped, and it was a great day with rain returning when I returned to my B&B. A view along the way heading up the Connecticut River on the west bank. 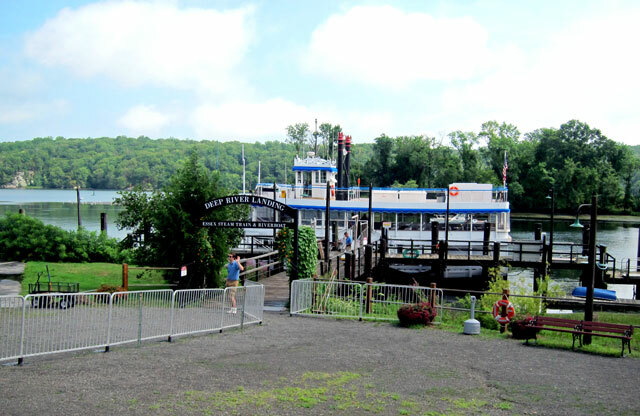 you pass the boat landing, but will stop to board on the way back. 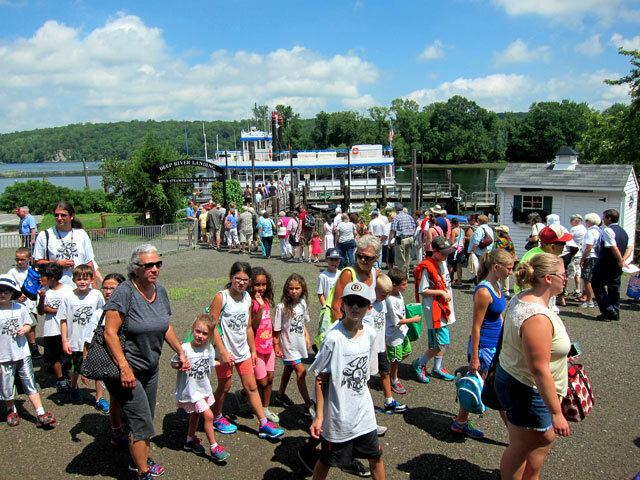 the cruise on the river is very bucolic with lots of birds, including eagles. 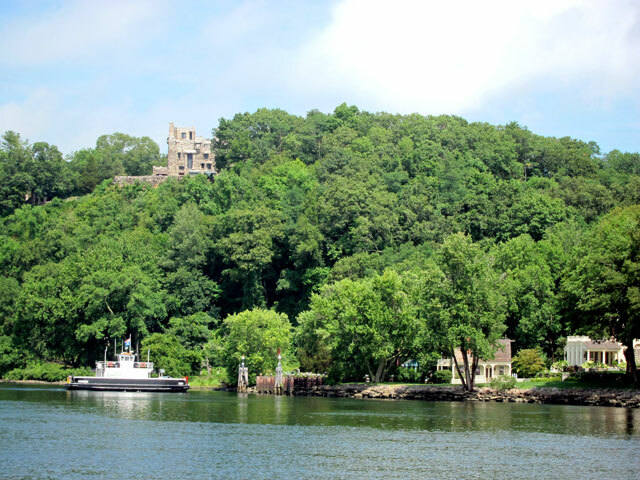 Here is Gillette Castle from the river (more on this later) and a very early ferry crossing. they really have the schedules down to a system as one train debarks passengers for the riverboat, others depart the riverboat to return to the station by train. I overheard a conductor say my train had about 200 passengers (probably low due to rain at the day’s outset) and the normal number of passengers is 500-600. Getting back to the station after 1:30, I got a sandwich there and headed to my other planned adventure for the day, the Connecticut River Museum, arriving about 2:15. On the list for a long time, I highly recommend a visit to Village of Essex itself, and the museum. On the first floor is the history of discovery of the area, and Bushnell’s Turtle. Model of Bushnell’s TURTLE in the Connecticut River Museum. After US Navy Supply Corps School, my first assignment was as Disbursing Officer aboard the USS Bushnell AS-15, named for David Bushnell. Bushnell’s invention was to place bombs to the hulls of British warships in New York’s harbor while submerged, to be exploded with a time delay fuse once the operator had safely retreated in the Turtle. 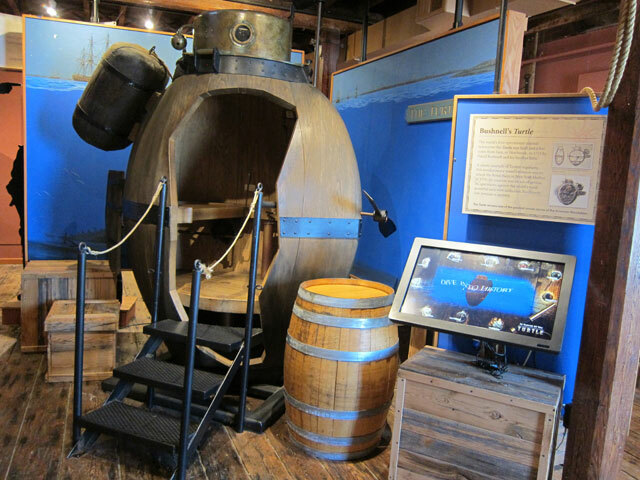 Unfortunately, on September 7, 1776, the augur used to penetrate the ship’s hull, to then attach the underwater bomb, hit metal failing to make a connection. Two additional attempts were unsuccessful, but the submarine had been invented as a war machine. The Enfield Canal built in 1829 around the Enfield Falls to Windsor Locks. Always figured there had to be locks due to the town’s name. So, this I learned. Here is the 2009 aerial view of Walpole in the museum. Do you recognize this small part of that image? 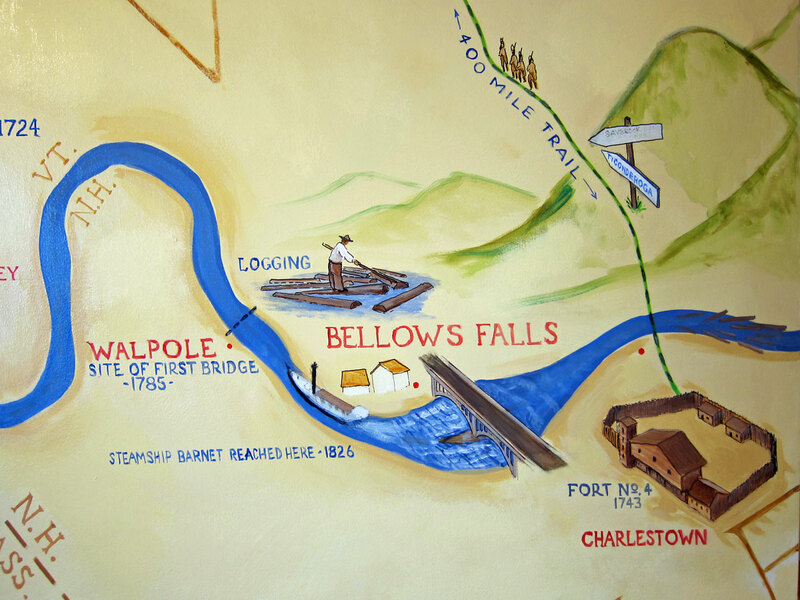 And, Bellows Falls, Vermont, showing the first canal in the US. 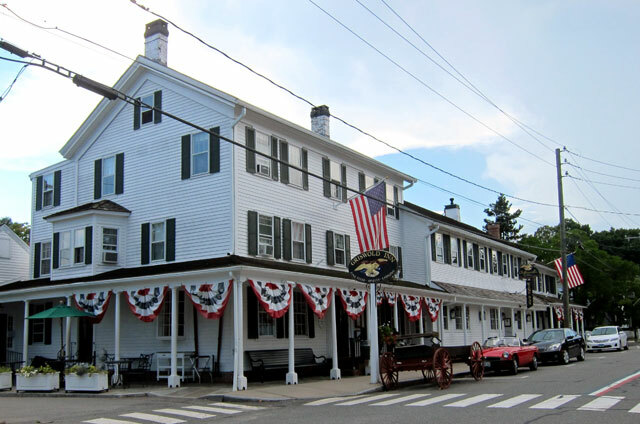 Years ago, Cathy and I spent a night and nice dinner at the Griswold Inn in Essex, open since 1776. At that time, in their dinner room was a popcorn wagon that is probably my CORNELIA’s sister. Griswold Inn, Essex, Connecticut, established 1776. Then I headed back to the little village of Chester which is now really an arts center in the quaint buildings. 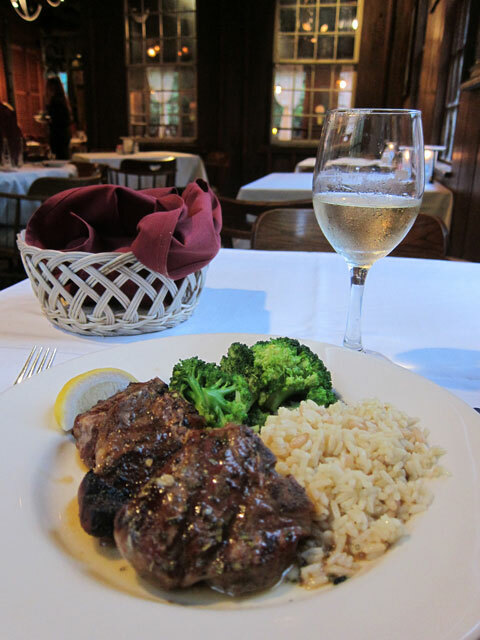 The recommended restaurant was booked, so I had dinner in the nearby pub for about half the price – and it was good. 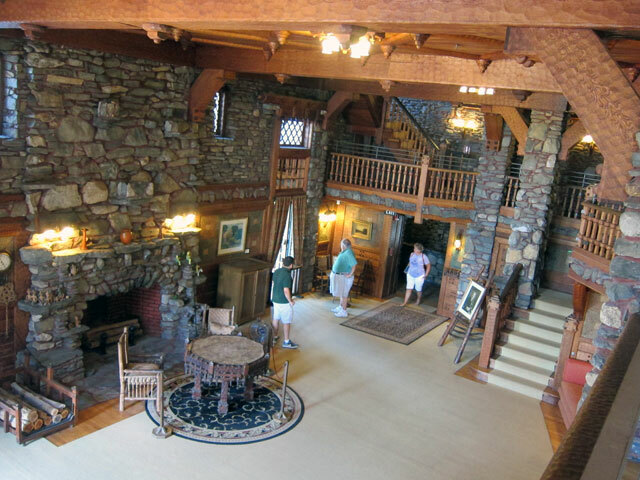 Just like with Rogers’s Island Museum at Fort Edwards, NY again this June, I have never been in the area of Gillette Castle in Hadlyme at the right time or day — but now was the day and time, and the plan to be on the grounds before the castle opened. 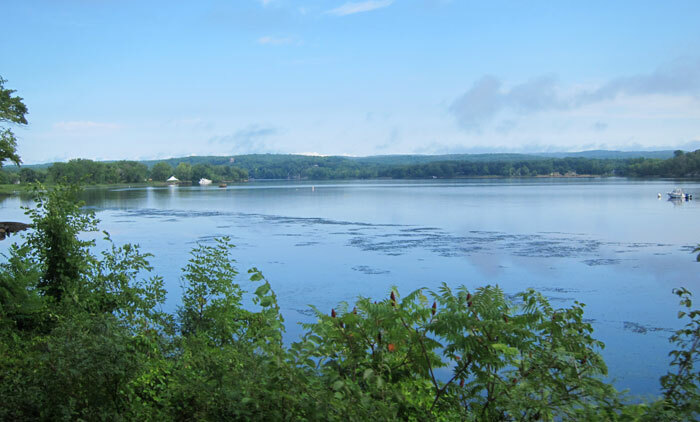 But, first I crossed the Connecticut River to walk the grounds of the Goodspeed Opera House in East Haddam. And, more views to tempt your road trip – hey, I know the perfect B&B across the river. Entrance Way inside the Goodspeed Opera House. 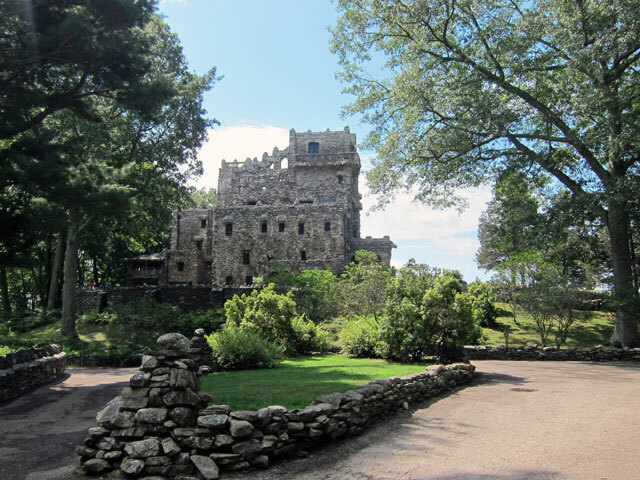 And, then I arrived on the grounds of Gillette Castle just before it opened to view. Chances are, since you are young (and things and people are generational), you have no idea who William Gillette is, well was. An eminent actor and playwright (1853-1937). Think iconic Sherlock Holmes. Gillette in bringing Holmes to the stage in over 1300 performances introduced the Deerstalker cap, curved briar pipe, Inverness cape, and the phrase “Elementary my dear Watson.” His wife died on a train with a ruptured appendix, and never re-marrying, he lived on his yacht, but then saw this spot on the Connecticut River. In 1919 he completed this impressive home at a cost of well over $1,000,000. 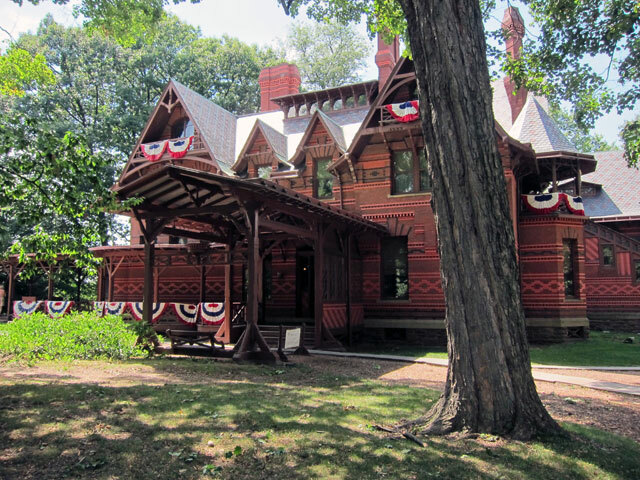 In 1938, the State of Connecticut acquired the castle and land creating a wonderful park. The interior and furnishings of the castle are as they were when Gillette died – a virtual time-capsule (seems like I have seen many such time-capsules recently). Here is the view of the river from the front patio. And the grand main room. He had many innovations throughout, and even glued his mementos down so his roaming cats would not knock things over. Gillette had an intricate system of mirrors so he could decide whether to come down to greet a guest or not, and to watch guests try to get into his bar which he secretly secured before retiring to watch them try to get that second drink he said they may have. Each of his 47 doors was hand carved, and each one is different. The bar which he would playfully lock, and then invite guests to help themselves. 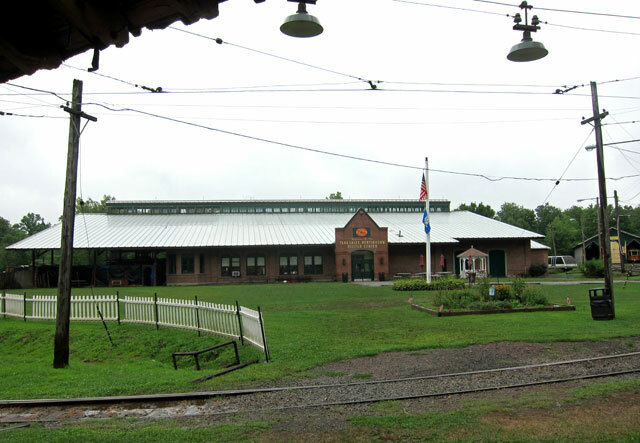 Gillette’s hobby was his miniature railroad, with stations and three miles of track around his estate. After this enjoyable two hour visit (including a video and nice little museum on Gillette’s life) it was off north to Hartford (not a song title) to visit the Mark Twain House, acclaimed by National Georgraphic as “one of the the ten best historic homes in the world.” Well, I checked this list, have a ways to go, but I have documented some wonderful places on my “pages” here. But, I was not as impressed as I guess I should have been. No pictures allowed inside. Nice tour, but I really enjoyed the museum giving a time line of Samuel Clemens’ life and work. I will now have to read my copy of Dayton Duncan and Ken Burns’ MARK TWAIN. It was time to venture home, and true to form the rains began once I was done. I have been busy since, and am completing this post 17 days after returning – but as you know I am writing for myself to refresh my memories. While I am waiting for Alex to awake for a day’s adventure, I will start on last week’s Maine excursion, but first here is a discovery I promised to my Facebook readers. Following my 3 month back surgery check-up (all is healing well) I was going to take an overnight with “glacial explorations,” but decided not to, focusing instead on re-tracing Connecticut steps. But, I couldn’t go straight home, so looked at the map — there was somewhat isolated square landmass nearby I had not explored. Dilemma solved! Look at your NH state map. Just above Lebanon there is a relatively open area. I headed east on US 4 from Dartmouth Hospital to the intersection with Goose Pond Road, where I turned north. Goose Pond and its early cottages is a bucolic drive at 20 MPH. Once past the pond, the road turned dirt, telephone poles ceased, and soon I noticed on my Iphone “NO SERVICE.” But, Scott, I learned the answer to the question we pondered. WAZE still continued to display moving maps, and GPS was spotting where I was. So, the program loads when it can, and GPS triangulation is not cell signal dependent. You see on the map Hanover Center and Etna – I had never seen them. I turned left on Hanover Center Road, and climbed the hill. And soon I arrived to find the center of the center – the five acre Military Parade Ground established in 1795. 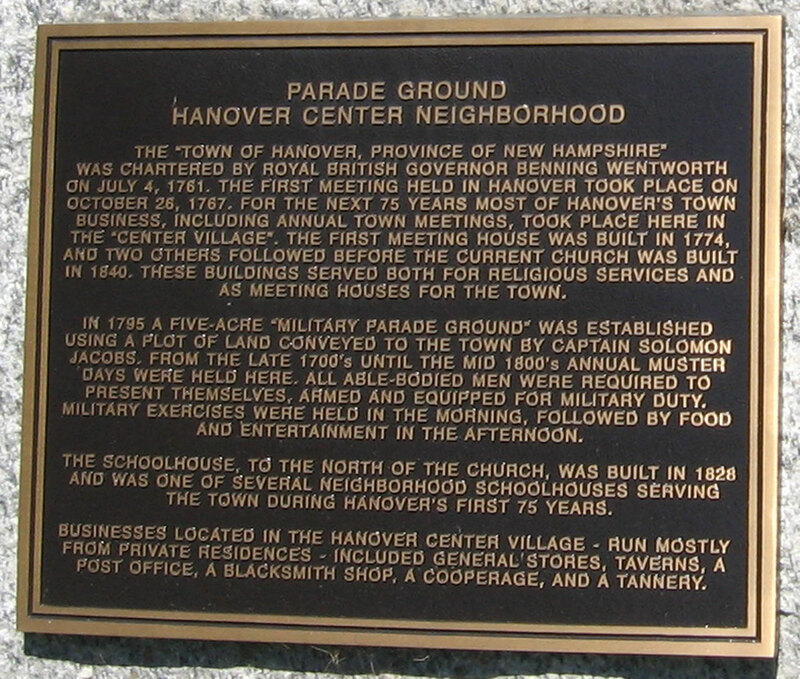 Hanover Center is a village of Hanover (yes, home of Dartmouth College), but I bet few ever see it, or the village of Etna just to the south. From Etna, I figured that Trescott Road would work me back towards the Hanover we are all familiar with. At a T, I turned left on Wheelock Street, and soon was on the south perimeter of the Dartmouth College Campus and the main town. I simply continued to cross the Connecticut River into Vermont. Antiquing in Queechie was fruitless — when will I finally give up, there is nothing anymore. But I decided to finish up at Vermont Salvage in White River Junction. Sadly no fountains. Home next, to study for the Connecticut fun. This entry was posted in Day (or maybe two) Trips and tagged Brushmill Inn, Camp Hazen, Chester, Conn, Connecticut, Connecticut River Museum, Connecticut Trolley Museum, CT, Essex Steam Train and Riverboat, Gillette Castle, Goodspeed Opera House, Haddam, Hadlyme, Hanover Center, Mark Twain House, Nehemiah Brainer House, New England Air Museum, New Hampshire, NH. Bookmark the permalink. Ray, you have the most wonderful adventures due in part to a most inquisitive mind. Brought back memories of my time in Connecticut and renewed my own fond memories. 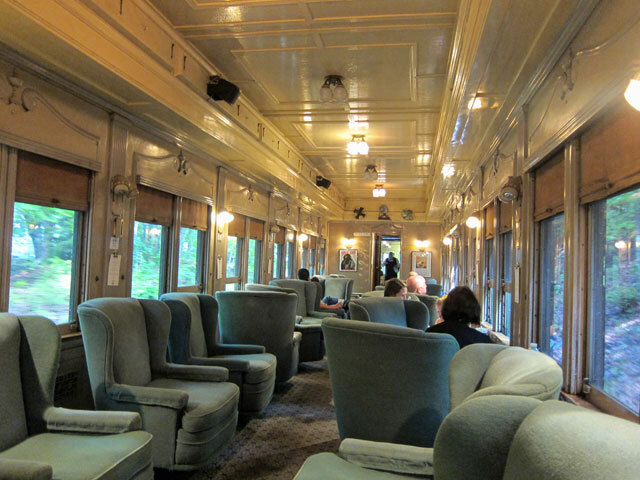 I thoroughly enjoyed your CT trip: when we lived in CT (for close to 49 years) I took people to Gillette Castle over the river on the car ferry, had season tickets to Goodspeed Opera House, ate at the Griswold Inn and other places in Essex, rode the train up the river………etc. 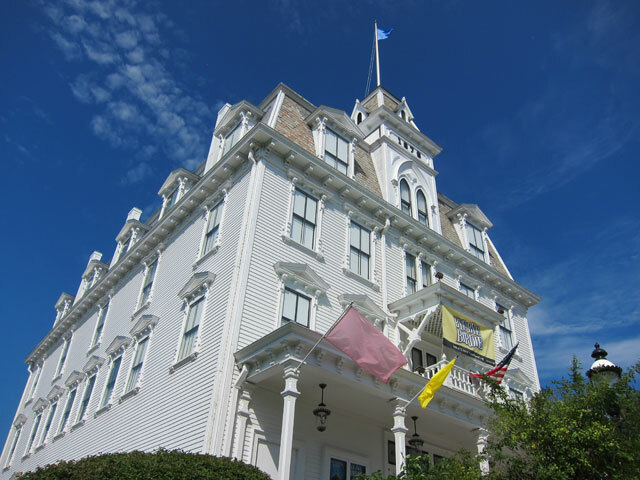 On your next swing through CT remember to revisit the Whaling Museum……another of our former haunts in Mystic and of course the newer aquarium there as well. 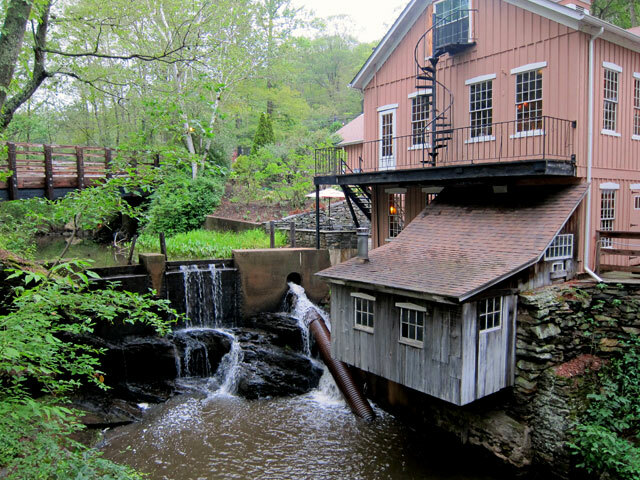 spots on your lower CT River itinerary). Your posting was — as always — a pleasure to read and view… and it’s good to hear that you’re ‘in the clear’ following your three-month post-op check up, too. Cheers! Beautiful trip to CT. Glad that you were able to get out and have a good time. Opera House was nice. Keep having fun and take care of yourself.